The first Laurens Academy buddy class was excellent. Everyone had a great time making the paper hands. They traced their hand and cut it out. One each finger you would write something about your grandparents that you enjoyed doing with them, or you would write qualities that they have that you like. On the palm, you would write your name so that your grandparent could identify your hand. It was a very enjoyable time and a great way to start off this year’s buddy classes. 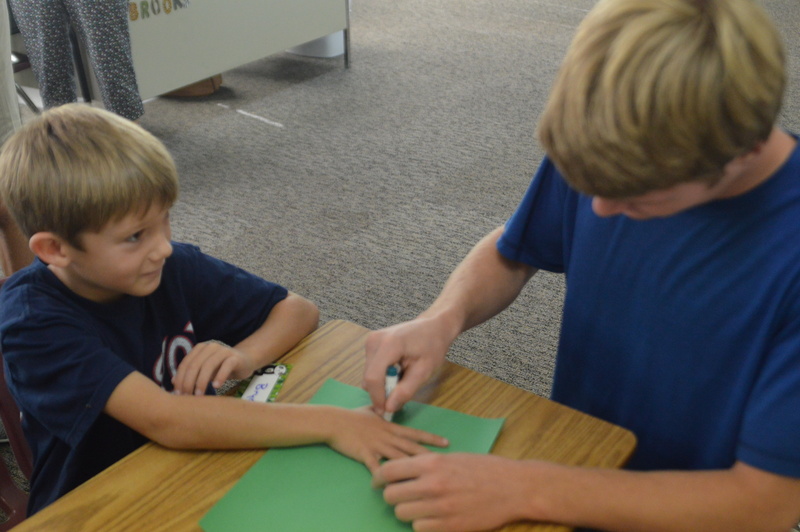 All of the upper school enjoys going to buddy class and spending time with the younger students. All of the students are already looking forward to the next time buddy class meets. I am sure the next one will be as good or even better than this one.